All-Ireland finalists Kilkenny lead the Camogie All-Stars Awards 2018 shortlist. Fourteen members of Ann Downey's team are in the running to win awards at this year's All-Stars banquet. Sponsored by Liberty Insurance, the award ceremony will be held in Citywest Hotel on Saturday, November 3. Goalkeeper Emma Kavanagh, defenders Grace Walsh, Anne Dalton, Catherine Foley, Edwina Keane, Colette Dormer, Claire Phelan and Davina Tobin are amongst the nominees for the Cats. Meighan Farrell is nominated at midfield, while Denise Gaule, Katie Power, Anna Farrell, Shelly Farrell and Michelle Quilty are nominated amongst the forwards. Cork, who won a record 28th Senior All-Ireland title when beating Kilkenny in Croke Park, received 12 nominations. Goalkeeper Aoife Murray, defenders Pamela Mackey, Hannah Looney, Chloe Sigerson and Laura Treacy are amongst the nominees. Ten-time All-Star winner Gemma O’Connor has been nominated at midfield along with Julia White and Libby Coppinger. Orla Cotter, Orla Cronin, Amy O’Connor and Katrina Mackey received the forward nominations from Cork. All-Ireland semi-finalists Tipperary and Galway have five nominations apiece. For Galway goalkeeper Sarah Healy, defenders Shauna Healy and Sarah Dervan, midfielder Niamh Kilkenny and forward Carrie Dolan are in the running. Tipperary's five nominees are defenders Mary Ryan and Karen Kennedy as well as Orla O’Dwyer, Cáit Devane and Grace O’Brien. Paudie Murray (Cork), Shane Plowman (Dublin) and Ann Downey (Kilkenny) are amongst the nominees for Manager of the Year, which will be announced on the night along with the 2018 All-Stars team. Waterford have four nominations in defender Áine Lyng, midfielder Lorraine Bray and forwards Niamh Rockett and Beth Carton. For Dublin defender Hannah Hegarty and forwards Orla Beagan and Siobhán Kehoe are on the shortlist, which is completed by Offaly duo Róisín Egan and Siobhán Flannery. 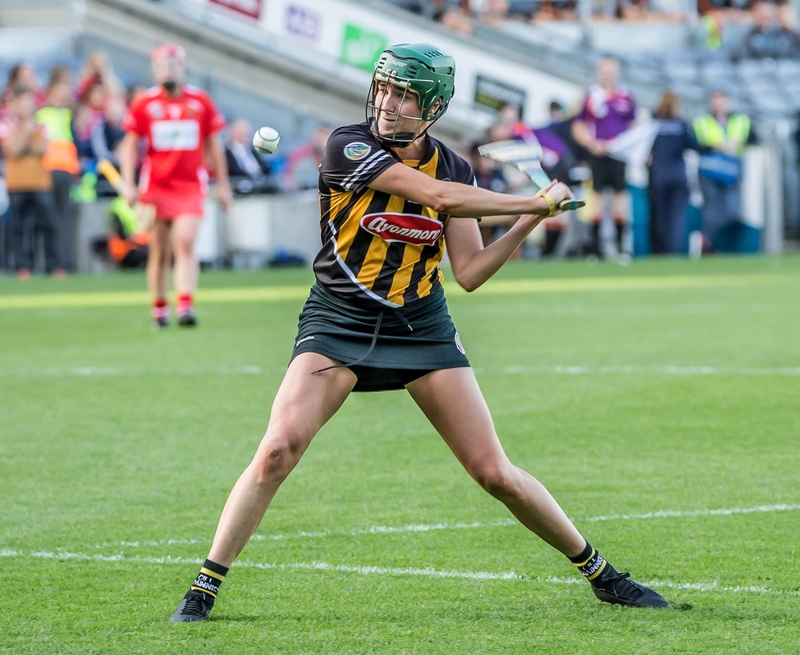 "The Camogie All-Stars Awards celebrate the outstanding performances of our players all of whom have helped to light up not only the Camogie Championships but a fantastic summer of sport," said Kathleen Woods, President of the Camogie Association. "To be nominated for All-Stars Award highlights the skill, commitment, athleticism and sportsmanship of our players and it is truly deserving for these tremendous role models to receive such recognition for their efforts." "Our ‘Camogie Made Me Ready for the Real World’ campaign during the summer was designed to showcase how the skills gained on the Camogie pitch can be applied off the field in other aspects of players’ lives," said Deirdre Ashe, speaking on behalf of Liberty Insurance. "The players that featured in the campaign, no less than the Camogie All-Star nominees today, are role models in their communities whose accomplishments inspire girls and young women to participate and stay involved in sport for years to come." Goalkeepers: Emma Kavanagh (Kilkenny), Aoife Murray (Cork), Sarah Healy (Galway). Full-Back Line: Mary Ryan (Tipperary), Laura Treacy (Cork), Grace Walsh (Kilkenny), Shauna Healy (Galway), Catherine Foley (Kilkenny), Edwina Keane (Kilkenny), Sarah Dervan (Galway), Pamela Mackey (Cork), Collette Dormer (Kilkenny). Half-Back Line: Karen Kennedy (Tipperary), Hannah Looney (Cork), Hannah Hegarty (Dublin), Claire Phelan (Kilkenny), Róisín Egan (Offaly), Anne Dalton (Kilkenny), Davina Tobin (Kilkenny), Áine Lyng (Waterford), Chloe Sigerson (Cork). Midfield: Niamh Kilkenny (Galway), Gemma O’Connor (Cork), Lorraine Bray (Waterford), Meighan Farrell (Kilkenny), Julia White (Cork), Libby Coppinger (Cork). Half-Forward Line: Orla Cotter (Cork), Orla O’Dwyer (Tipperary), Siobhán Flannery (Offaly), Katie Power (Kilkenny), Orla Cronin (Cork), Denise Gaule (Kilkenny), Amy O’Connor (Cork), Anna Farrell (Kilkenny), Niamh Rockett (Waterford). Full-Forward Line: Orla Beagan (Dublin), Carrie Dolan (Galway), Cáit Devane (Tipperary), Shelly Farrell (Kilkenny), Katrina Mackey (Cork), Michelle Quilty (Kilkenny), Beth Carton (Waterford), Grace O’Brien (Tipperary), Siobhán Kehoe (Dublin). Manager of the Year 2018: Paudie Murray (Cork), Shane Plowman (Dublin), Ann Downey (Kilkenny).